The Bowen Technique has proven to be successful in a number of different areas of back health. Here you can find out all about how this gentle, effective & holistic treatment can be effective for many common health problems. 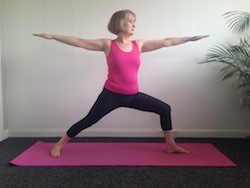 Ghislaine is also a qualified Hatha Yoga Instructor.